If for some reason you do not understand what those lines represent, be very very ashamed. In any case, soon you might not have the opportunity to even choose not to know it. That’s because the Federal Executive Council has adopted the second stanza of the National Anthem (yes, that’s what it was) as the official prayer at all public functions. A ‘Punch’ report carried that the girector-general of the National Orientation Agency, Mr. Mike Omeri, made this known in a statement in Abuja on Thursday. The statement which was released through Mr. Omeri’s chief press secretary, Mr. Paul Odenyi, disclosed that the hint of this new FEC initiative was first given by the minister of Environment, Hajia Hadiza Mailafia, when she visited the agency. The clamour for the second stanza of the anthem to be used as national prayer at public functions has long been championed by the NOA. They believed that this would help to engender the spirit of cohesion and unity in supplication to God. 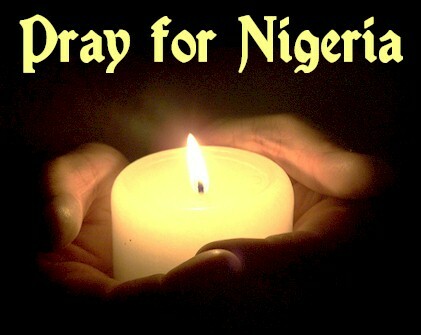 If it is followed through to the end, the national prayer would replace the practice of saying separate prayers by different religious faithful at public functions which the NOA director general believes divide Nigerians along religious lines. Already, governors like Ibikunle Amosun of Ogun State and his Niger State counterpart, Aliyu Babangida, have adopted the second stanza as official prayers at all public functions and school in their states. I like this. I've always believed the 2nd stanza of the National Anthem embodies our aspirations as a nation. And yes, no need for Christian and Muslim prayers at official government functions. BTW, I think its not grammatically correct to say thet a Newspaper 'carried' a report. That's transliteration. Newspapers report news, I believe. I might be wrong though, so feel free to correct me.